Title: "The Rope's the Dope"
A customer provided me wood from a very old apple tree taken down on his family property. Along with the wood came a story of how a rope that was used in taking down the tree got tangled up and came dangerously close to strangling the customer and turning him into the unfortunate woodsman. 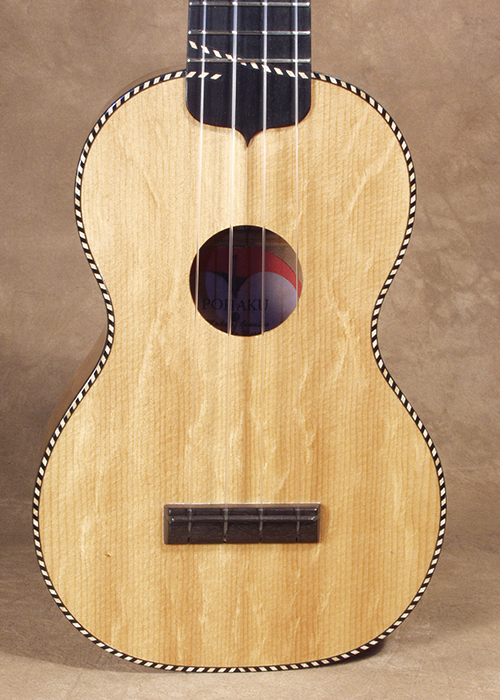 Fruit woods have been traditionally used in instrument construction over the years however rarely commercially. I measured the dimensional stability of the wood before commencing construction and found it to be an amazingly stable choice of wood. 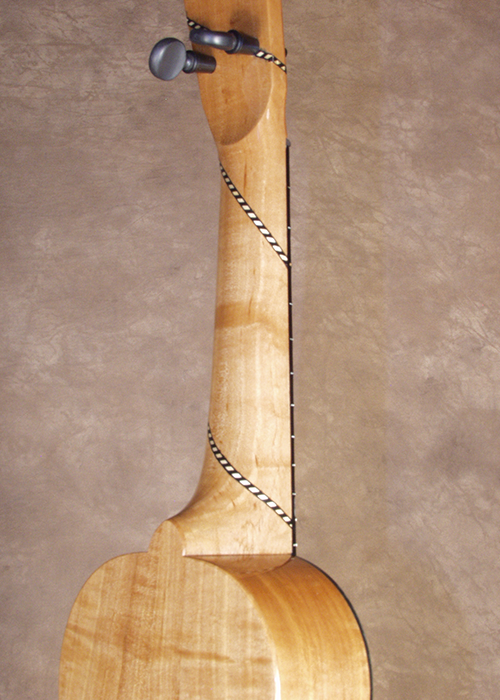 The body and neck are made out of the Apple and I mated it with a Sitka Spruce soundboard which has a bear-claw figure to it.